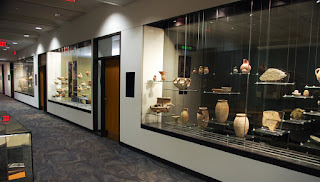 The other evening, I had the opportunity to visit the newly relocated and renovated Wheaton Archaeology Museum. For those who can make a stop, the museum is located on the fifth floor of the Billy Graham Center at Wheaton College. Many of the objects are finds from Tel Dothan, where Wheaton’s Joseph Free conducted excavations between 1953 and 1964. 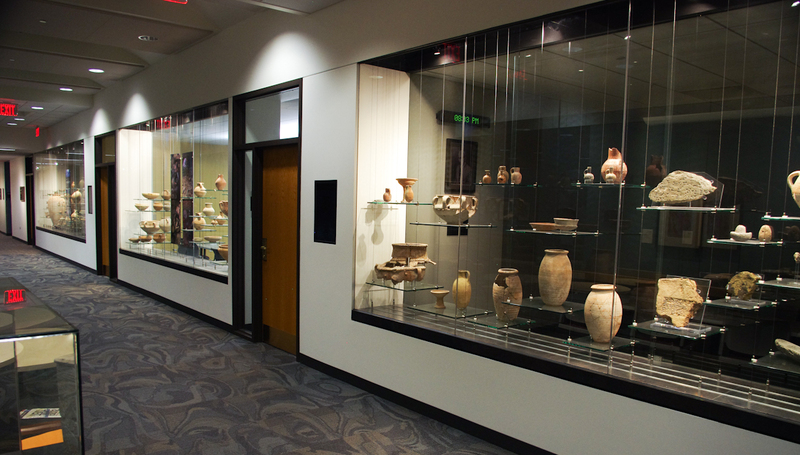 The main displays consist of three glass cases built into the hallway wall. If there are no classes occupying the rooms, you can view the cases from the other side too. 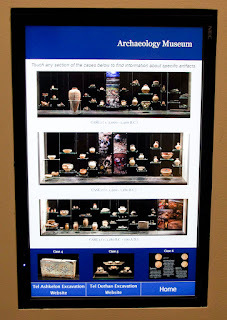 To read descriptions about the objects, there are two touch-screen panels. You tap on the object, and a description appears on the screen. Pretty fancy. 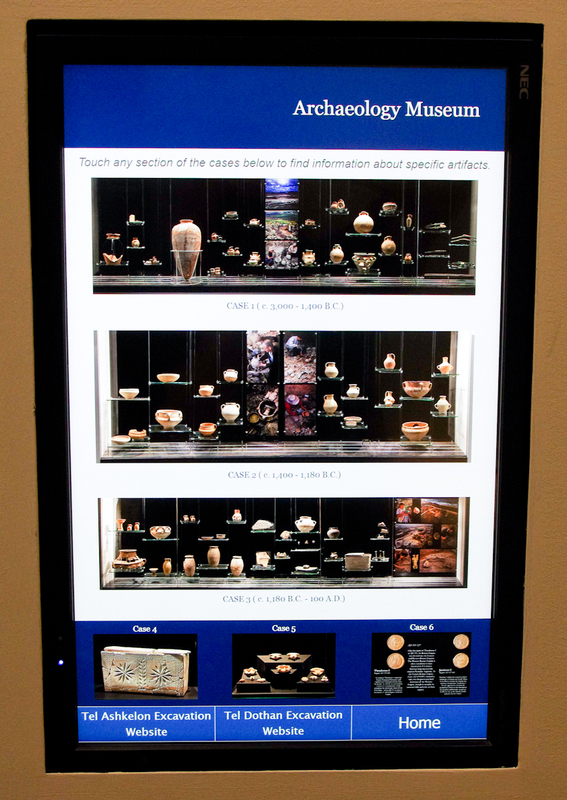 Be sure not to miss the three smaller displays with ancient lamps, coins of Roman emperors, and an elaborately carved ossuary. Cool Review! They have a lot of this material also at the Benhoof Cistern Museum across from the Albright in Jerusalem which I discussed before here http://blog.bibleplaces.com/2013/04/secret-places-benshoof-cistern-museum.html - most of it is LB/Iron I tomb deposits.